The Pain-free Childhood Territory initiative urged the Foreign Student Council (FSC) to round the academic year off with a charity event. More than 50 little patients from various hospital units have got diverse touching presents collected by the students of our University as a part of their charity impulses: sets of markers, colored pencils, clay, paints, brushes, stencils, albums for drawing, edutainment coloring books, kid lit pieces, puzzles, chess and checkers, scale models of cars and trucks, and even some packs of diapers and bibs for sucklings. June 21, 2016. The FSC activists visited the University Children’s Hospital (UCH) with fairly stunning puppet show, exciting quests and games. 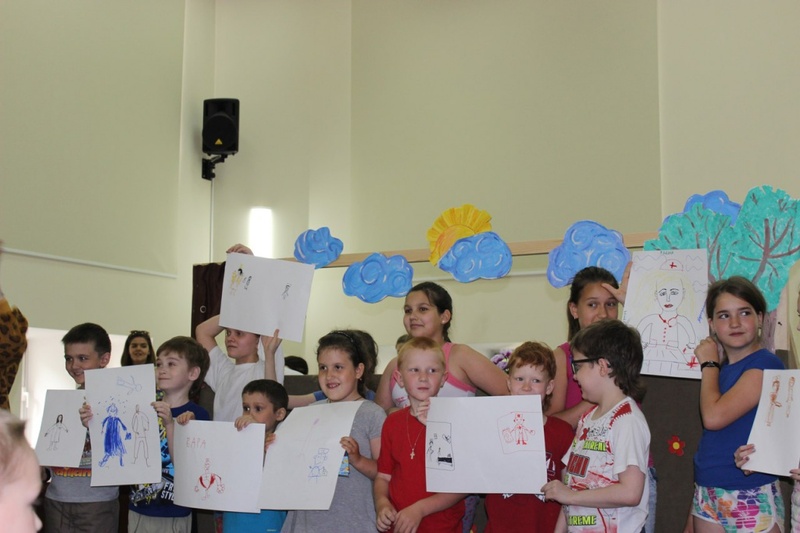 The program was tailored for children of 2- 14 years. 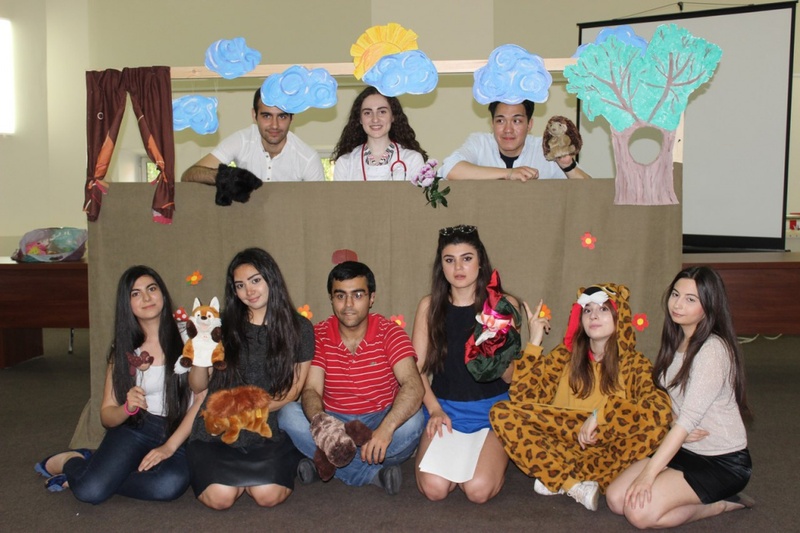 Particular attention was drawn to the puppet play “How a bear swapped his fur coat” suggesting the importance of friendship, the value of personal identity and significance of health monitoring and following the advices of doctors. 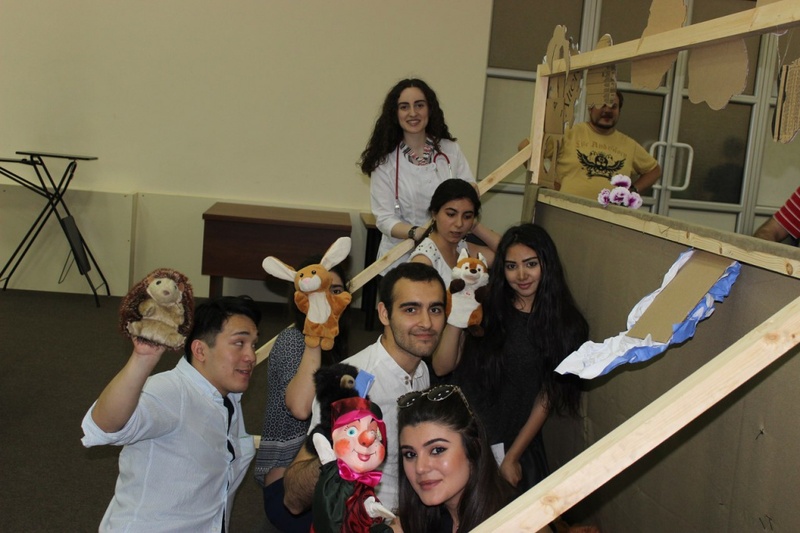 To make the performance realistic to the utmost, the students contrived a hand-made screen and scenery that helped children to dive completely into the world of fairy tales. Our future doctors attach great importance to direct contact with children and full involvement into the festive activities, so the second part of the program consisted of various team contests and games. The kids were positively captivated by the art competition aimed at personified picturing of a “dream-doctor”. It’s hard to render that perfectly Peter Pan pictorial spontaneity by word of mouth, ‘cuz those drawings are to be seen: the doctor on a magic carpet to get promptly to his patients; female doctors resembling the most beautiful fairies; dentists, ophthalmologists, nurses and doctors of other specialties galore. But the main thing, according to the children, it was clear how much they love and trust each among the medical staff dealing with them. And obviously, enjoying the patients’ confidence, especially kids, is the matter of paramount importance for any physician, because reciprocity is the vital milestone on the road to recovery! The key goal of the FCS was to invigorate the children, helping them thus to overcome the disease and doing everything possible to make their stay in the hospital not just associated with physical examination, painful procedures and prolonged treatment, but also to make them perceive that medical environment can be fun and interesting too! 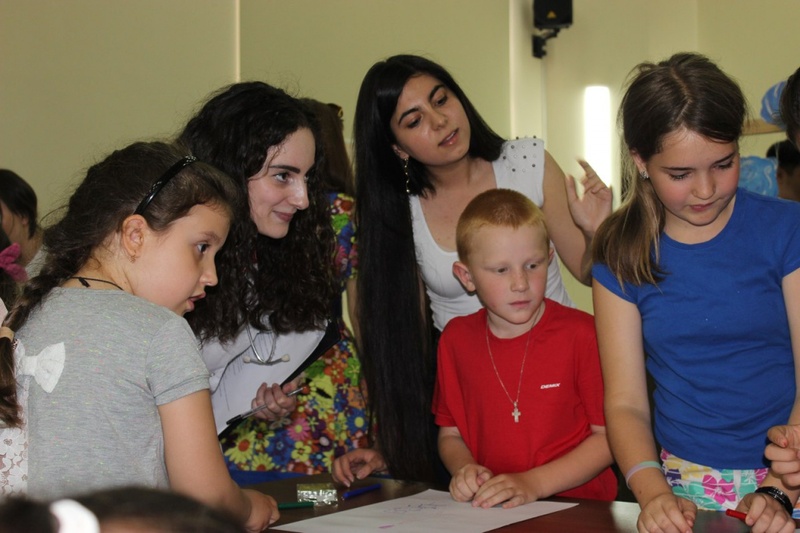 The foreign students are grateful to the medical staff and Yekaterina Pronina, chief physician of the First MSMU University Children’s Hospital, for such a chance to surprise the kids with a dream coming real.